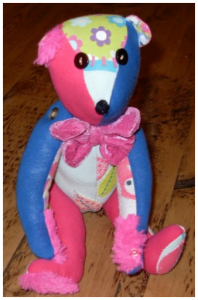 I have been in discussions with a wonderful seamstress who will make some Memory Bears for me for all the ceremonies. For Baby Naming Ceremonies the bears will be made out of a well loved babygro and for Renewal of Vows, fabric from a shirt or dress from each partner that will be crafted into a lovely keepsake. Once she has completed her first bear I will put a photo on this site.